Yes, it is a sign of our times that I need to list the following information, first in language that most of us understand, and then in the legal language for those who want the particulars. Please remember that your Individualized Education Plan is a legal document, and special education law is just that – law. Your IEP is a legal requirements for your child’s education. As a special educator, I am trained to understand, interpret, and act upon special education laws. However, I am not a lawyer and am not giving legal advice. Please consult your lawyer for legal counsel. Also, the laws in your state may be different than mine, so some information may be different for you. And, upon occasion, information on this site may contain errors with no intention to mislead. I collect data when you give it to me and when cookies send information to my site. If you do not want me to know about you, then block cookies and do not leave your information. I will not give identifying information about you to anyone else. Some comments on the blog may offend you or just be wrong information. I do not take responsibility for those comments. I may edit or remove a comment I deem offensive or spam-like. You may share my information but please give me credit for my words and ideas. I may change this website, pricing or services without telling you in advance. I may have links to other websites. I take no responsibility for them or their content. These legal postings may change. If something in these legal terms turns out to be unenforceable or not legal, that portion will be omitted. The rest will remain. 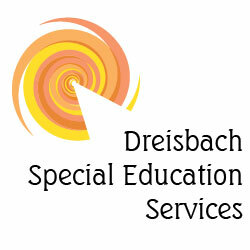 This website is operated by Dreisbach Special Education Services (“Dreisbach”). Throughout the site, the terms “we”, “us” and “our” refer to Dreisbach Special Education Services. Dreisbach Special Education Services offers this website, including all information, tools and services available from this site to you, the user, conditioned upon your acceptance of all terms, conditions, policies and notices stated here. By visiting our site and/ or purchasing something from us, you engage in our “Service” and agree to be bound by the following terms and conditions (“Terms of Service,” “Terms”), including those additional terms and conditions and policies referenced herein and/or available by hyperlink. These Terms of Service apply to all users of the site, including without limitation, users who are browsers, vendors, customers, merchants, and/or contributors of content. All content provided on the www.dreisbachspecialed.com blog and website is for informational purposes only. It should not be relied upon or used as the sole basis for making decisions without consulting primary, more accurate, more complete or more timely sources of information. The owner of this blog and website makes no representations as to the accuracy or completeness of any information on this site or found by following any link on this site. Any reliance on the material on this site is at your own risk. Dreisbach will not be liable for any errors or omissions in this information nor for the availability of this information. Dreisbach will not be liable for any losses, injuries, or damages from the display or use of this information. Because some states or jurisdictions do not allow the exclusion or the limitation of liability for consequential or incidental damages, in such states or jurisdictions, our liability shall be limited to the maximum extent permitted by law. This site may contain certain historical information. Historical information, necessarily, is not current and is provided for your reference only. Dreisbach reserves the right to modify the contents of this site at any time, but Dreisbach has no obligation to update any information, nor inform you of any changes to the site. You agree that it is your responsibility to monitor changes to the site. This Terms of Service is subject to change at anytime with or without notice. These terms and conditions are governed by the laws of the United States of America and the laws of the Commonwealth of Massachusetts. comments that are deemed to be inappropriate or insensitive to other users. Dreisbach may, but has no obligation to, monitor, edit or remove content that is determined in its sole discretion as unlawful, offensive, threatening, libelous, defamatory, pornographic, obscene or otherwise objectionable or violates any party’s intellectual property and/or these Terms of Service. You agree that your comments will not violate any right of any third party, including copyright, trademark, privacy, personality or other personal or proprietary right. You further agree that your comments will not contain libelous or otherwise unlawful, abusive or obscene material, or contain any computer virus or other malware that could in any way affect the operation of the Service or any related website. You may not use a false email address, pretend to be someone other than yourself, or otherwise mislead us or third parties as to the origin of any comments. You are solely responsible for any comments you make and their accuracy. We take no responsibility and assume no liability for any comments posted by you or any third-party. You agree not to reproduce, duplicate, copy, sell, resell or exploit any portion of the www.dreisbachspecialed.com website without express written permission by Dreisbach. In addition to other prohibitions as set forth in the Terms of Service, you are prohibited from using the site or its content: (a) for any unlawful purpose; (b) to solicit others to perform or participate in any unlawful acts; (c) to violate any international, federal, provincial or state regulations, rules, laws, or local ordinances; (d) to infringe upon or violate our intellectual property rights or the intellectual property rights of others; (e) to harass, abuse, insult, harm, defame, slander, disparage, intimidate, or discriminate based on gender, sexual orientation, religion, ethnicity, race, age, national origin, or disability; (f) to submit false or misleading information; (g) to upload or transmit viruses or any other type of malicious code that will or may be used in any way that will affect the functionality or operation of the Service or of any related website, other websites, or the internet; (h) to collect or track the personal information of others; (i) to scrape, spider, spam, pharm, pretext, phish or crawl; (j) for any obscene or immoral purpose; or (k) to interfere with or circumvent the security features of the Service or any related website, other websites, or the Internet. We reserve the right to terminate your use of the Service or any related website for violating any of the prohibited uses. Prices for services at www.dreisbachspecialed.com are subject to change without notice. Dreisbach reserves the right at any time to modify or discontinue the Service (or any part or content thereof) without notice to you at any time. Dreisbach shall not be liable to you or to any third party for any modification, price change, suspension or discontinuance of the Service. Third-party links on this site may direct you to third-party websites that are not affiliated with us. Dreisbach is not responsible for examining or evaluating the content or accuracy and Dreisbach does not warrant and will not have any liability or responsibility for any third-party materials or websites, or for any other materials, products, or services of third parties. Dreisbach is not liable for any harm or damages related to the purchase or use of goods, services, resources, content, or any other transactions made in connection with any third-party websites. Please review carefully the third party’s policies and practices and make sure you understand them before you engage in any transaction. Complaints, claims, concerns, or questions regarding third-party products should be directed to the third party.